Some wondered if it would ever happen. But on Monday, Seattle rock greats Heart announced they are reuniting for their first tour together in three years. Led by sisters Ann and Nancy Wilson, the Rock and Roll Hall of Famers will hit the Tacoma Dome on Sept. 4, with tickets on sale to the general public 10 a.m. Friday, Feb. 15. Primo seats through Ticketmaster’s “Official Platinum” program go on presale beginning 10 a.m. Tuesday, Feb. 12, while a separate presale for Citi cardholders begins 10 a.m. Wednesday, Feb. 13. The Love Alive tour is Heart’s first since family tension stemming from an incident at a Seattle-area concert created uncertainty around the band’s future. In 2016, Ann’s husband, Dean Stuart Wetter, was arrested at the band’s White River Amphitheatre concert on investigation of assaulting Nancy’s two teenage sons. Wetter later pleaded guilty to two counts of assault in a deal that spared him jail time and required that he have no contact with the teens. 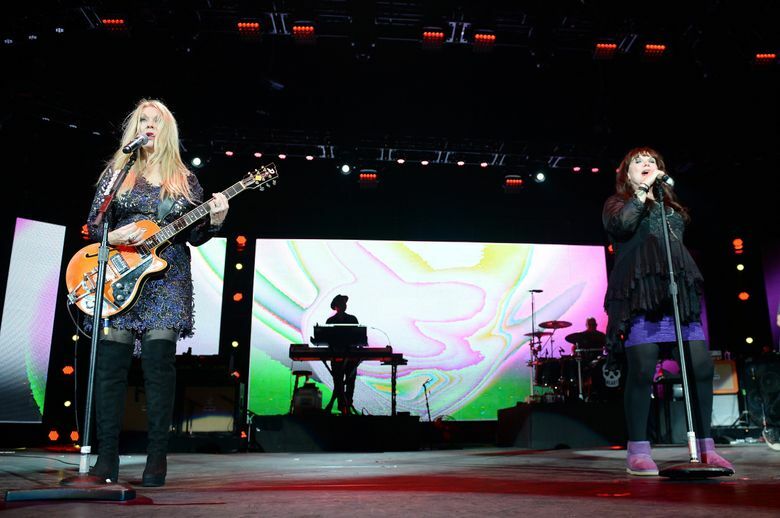 Though Heart finished that tour, the Wilson sisters have since done their own things, Ann touring as Ann Wilson of Heart and Nancy playing with Roadcase Royale, featuring Liv Warfield and Heart members Ben Smith, Dan Rothchild and Chris Joyner. Roadcase Royale’s ace guitarist Ryan Waters will also join Heart on tour. Last month Heart released a star-studded concert album, “Live in Atlantic City,” featuring Alice in Chains, Duff McKagan, Carrie Underwood and others.